The next station, St James, echoes the stores heyday with old images sourced from the City of Sydney Archives. 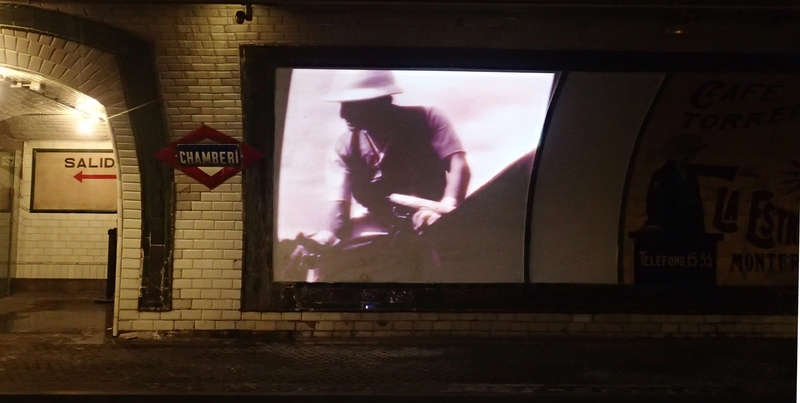 Last month, I discovered Madrid’s version, Chamberi Metro Museum, where early 20th century infrastructure and young metropolitan progress is preserved and projected onto the walls. 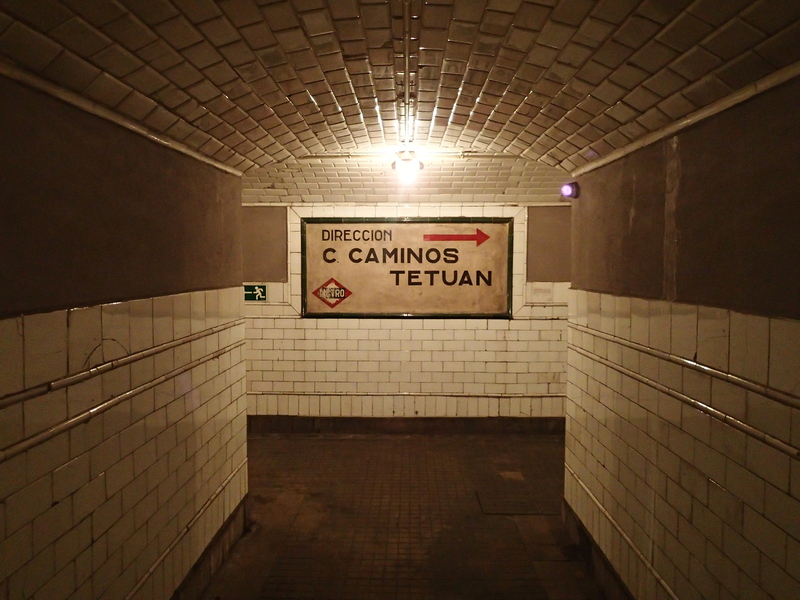 It’s natural for old, underground train stations to be an historical realm. Western culture has a talent for building up and on top of, barging our constructed environments over and through. Whatever came before gets pushed underneath. Historical detritus of Western culture layers up underground. Paul Carter touched on this trait in Australia decades ago in Lie of the Land – “we walk on the ground as we drive on the road; that is, we move over and above the ground. Our relationship to the ground is, culturally speaking, paradoxical: for we appreciate it only in so far as it bows down to our will.” More recently, Stephen Smith reveled in it in Underground London. Even this now-famous basement in Portland, Oregon is a good example. Madrid is no different. 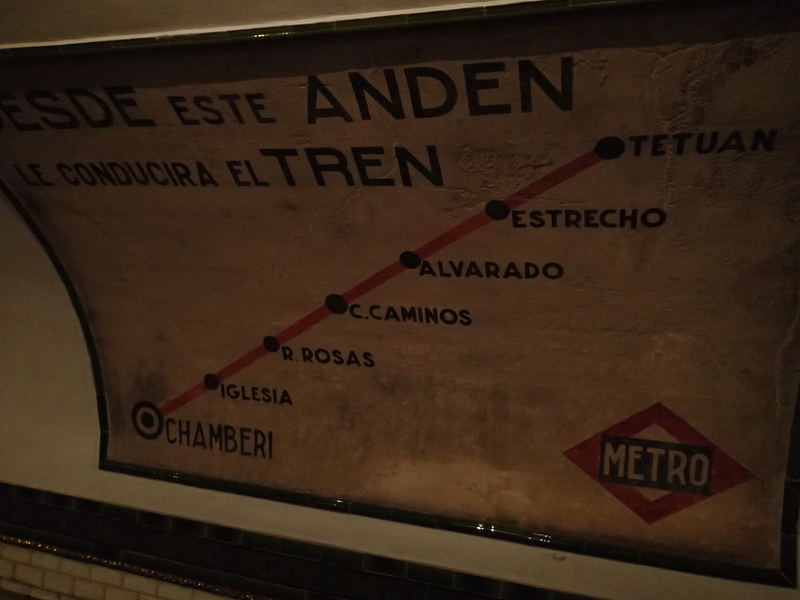 Chamberi Metro Museum is history underground. Unlike Sydney’s classic stations, Chamberi doesn’t have to fill the double function of museum and transport hub, it doesn’t compete with the priorities of getting to work or the shops. The little museum isn’t on the metro map, trains never stop here. It has an unmetro-like pace, as visitors linger and soak in the space that comes with little interpretation. 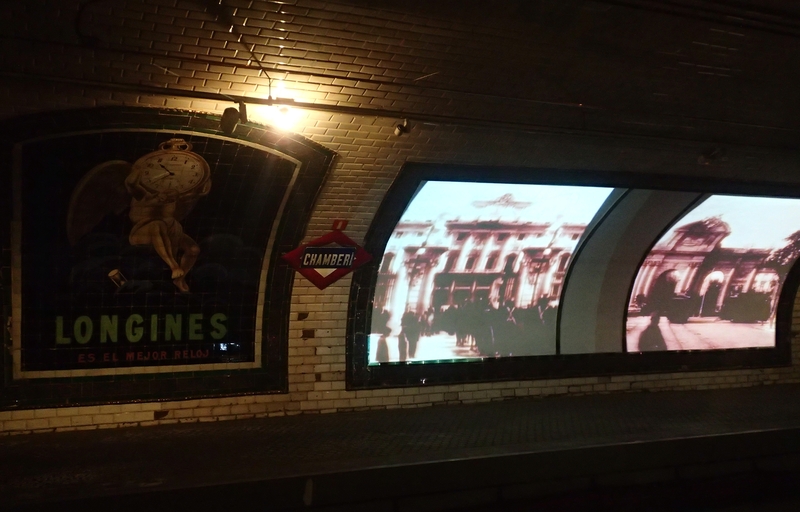 On the opposite platform, black and white films of early Madrid are projected alongside 1960s advertisements featuring four-digit telephone numbers. A sepia-colored three-piece band appears in one, creating that fashionable sense of whimsical nostalgia without actual historical insight. Like seeing life through an Instagram filter, this old Madrid is stylised by the media format which captured it and the atmosphere of the space into which it’s projected. The sense of isolation from the contemporary world above is enhanced by high glass panelling protecting you from falling onto the tracks. It feels like walking inside a museum display cabinet and looking out. 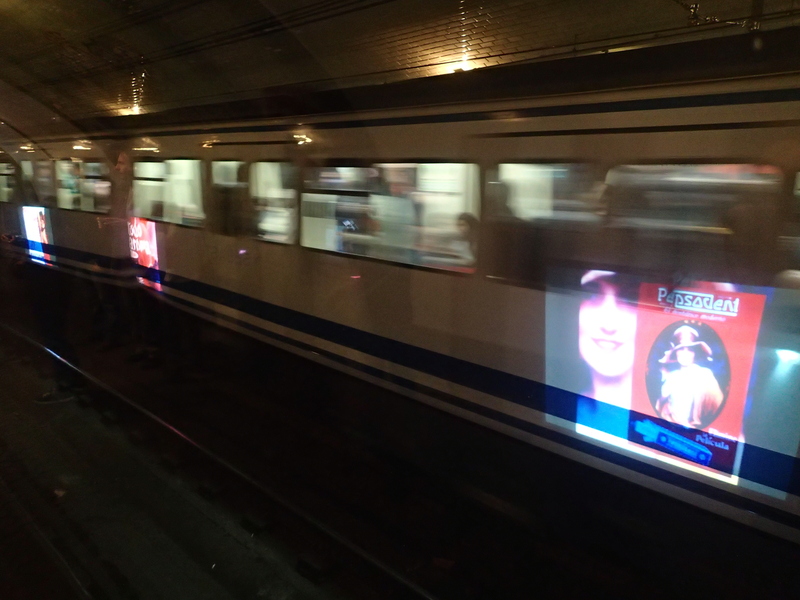 I pressed my face against the glass to see the projections and was stunned as a train sped past, centimeters from my nose, like being slapped across the face by technology and progress. 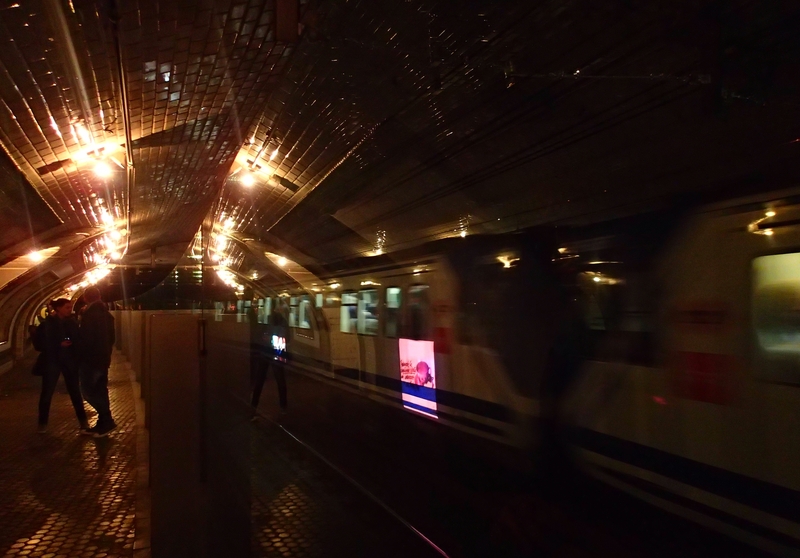 Weeks later, I was traveling in a Madrid train on my way to the Basque region, when the little Chamberi Metro Station flashed momentarily by the window. An antonym to being slapped by progress, the Chamberi Museum appears transparent like a ghost as it passes daily commuters in Madrid. Like the photographs in Sydney’s St James Station, I wonder if local commuters notice Chamberi as they pass? What do they think or feel as it appears in their daily routines? 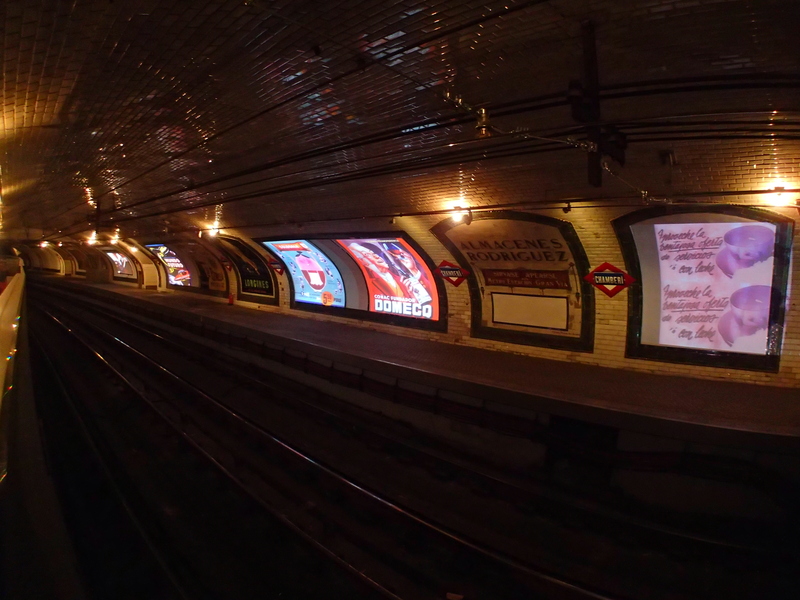 What’s the purpose of these historical reflections in our transport systems?